Cyber Crime - Are You At Risk? How Can you Protect Yourself? Many of us have heard about Cyber Crime before, but what exactly is it? Well, Cyber Crime involves criminal offenses that can be done through the Internet or other various forms of computer technology. 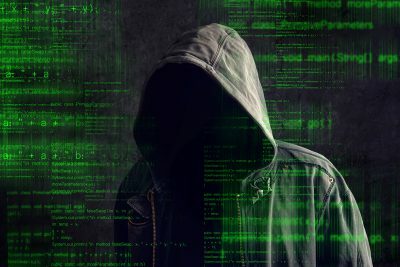 Cyber Crime includes actions such as hacking, online scams and fraud, identity theft, attacks on computer systems and illegal or prohibited online content. In the end, Cyber Crime can be extremely devastating for victims for numerous reasons, even financially. Identity Theft – Don’t Be A Victim! So you get a pop up on your screen and it might even be from a company that you have an account with. The pop up asks for a username and password or for personal information to verify your account. What do you do? Close out of it immediately. Maybe you get a random email asking you to confirm you information, close out of it immediately. If you have need to update any account information, go directly to the appropriate site to do so. All of us are vunerable to this type of Cyber Crime and more. It’s important therefore, that when you are online, don’t just share everything about yourself, especially on Social Media. Make sure your network is properly secured. In some cases, if you have a secondary computer that is older and doesn’t need to be connected online, use this to input all your account info and passwords on it. These are just some basic tips to help protect yourself from Cyber Crime. TechHub Direct Can Help Protect YOU! With so many devices such as our computers, tablets, and smart phones that we use to get online with, TechHub Direct can help to lessen the chances of being a victim of Cyber Crime. TechHub Direct can also make sure you a have a secure firewall, phishing software, and a network that is encrypted to help prevent such attacks. When you have to combat the Cyber Crime out there, TechHub Direct is on your side!